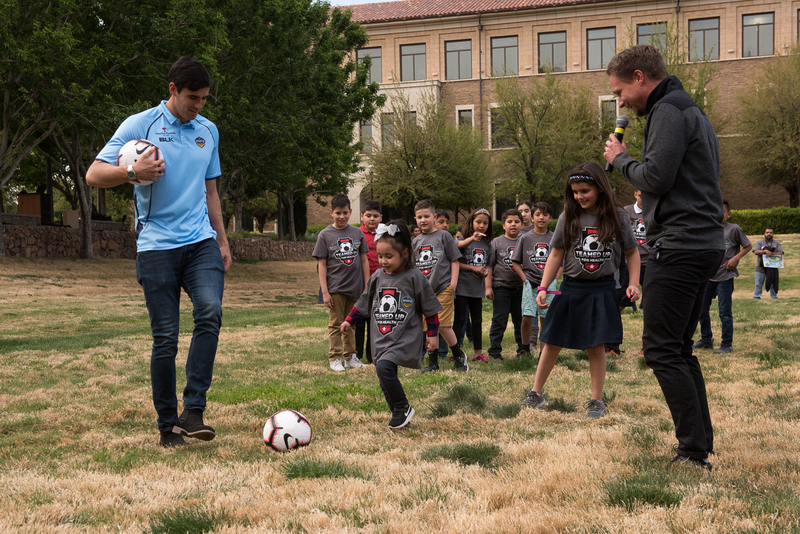 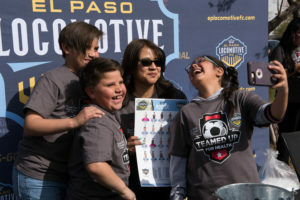 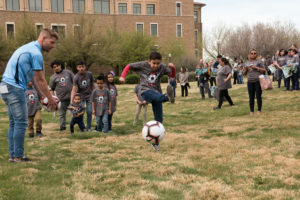 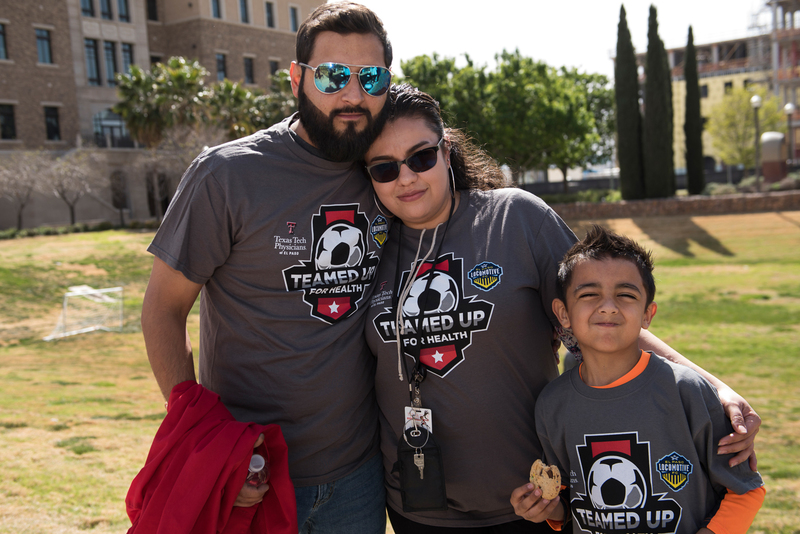 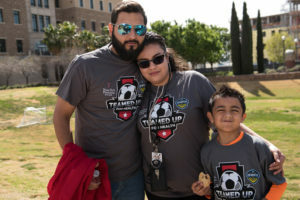 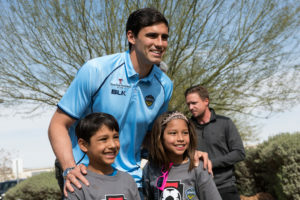 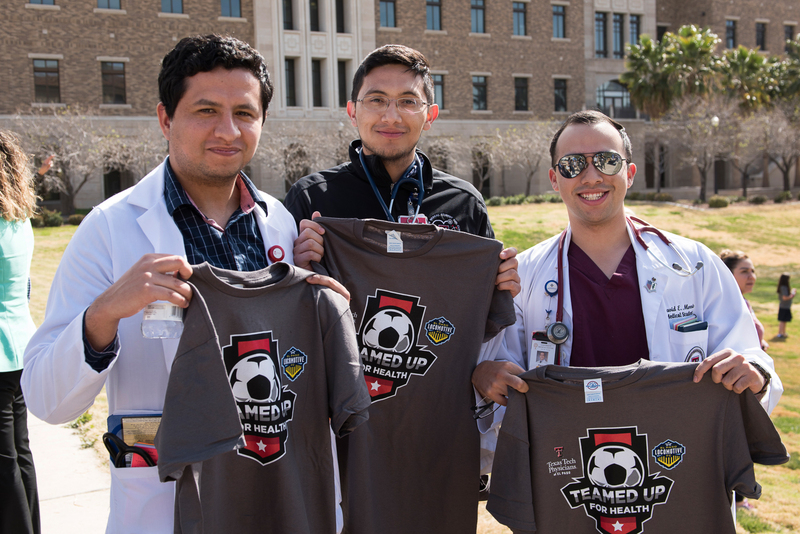 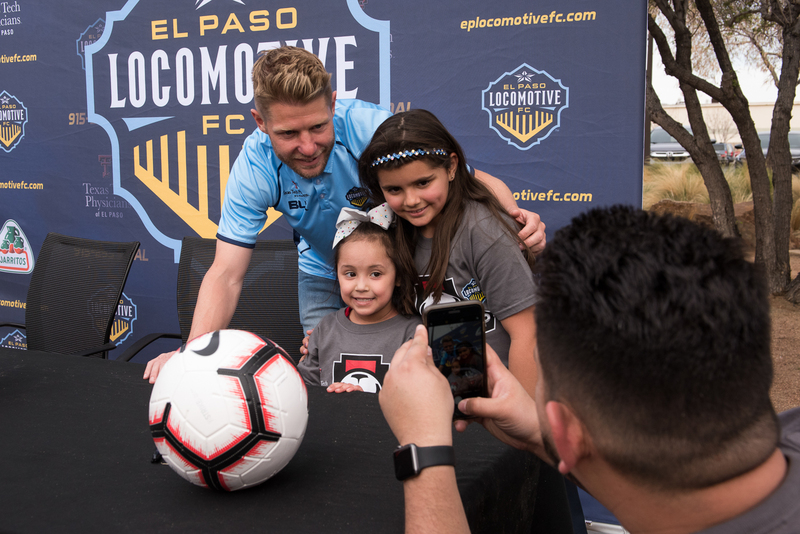 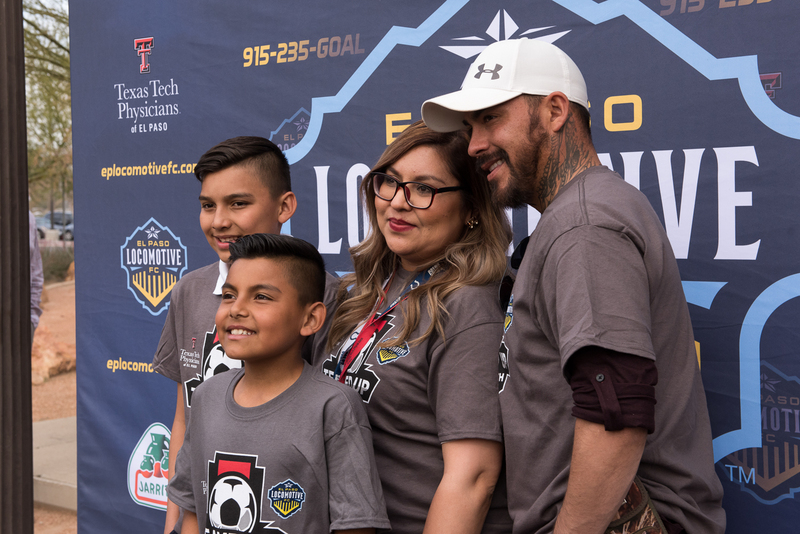 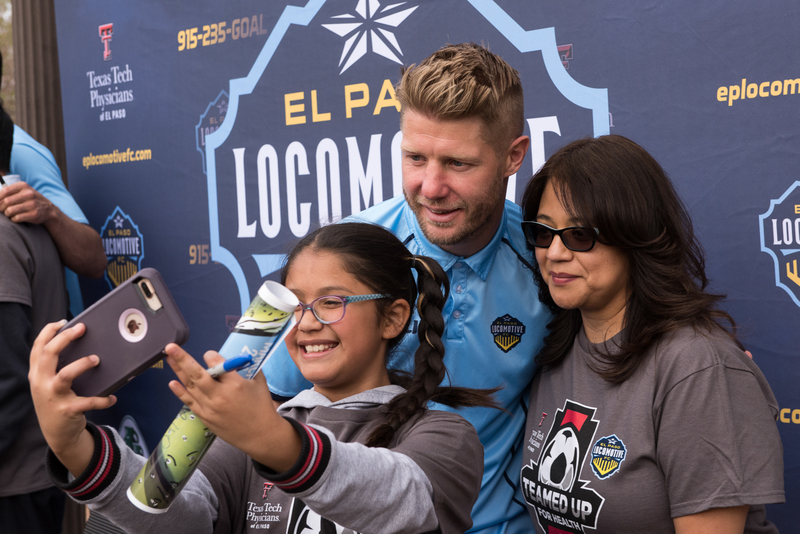 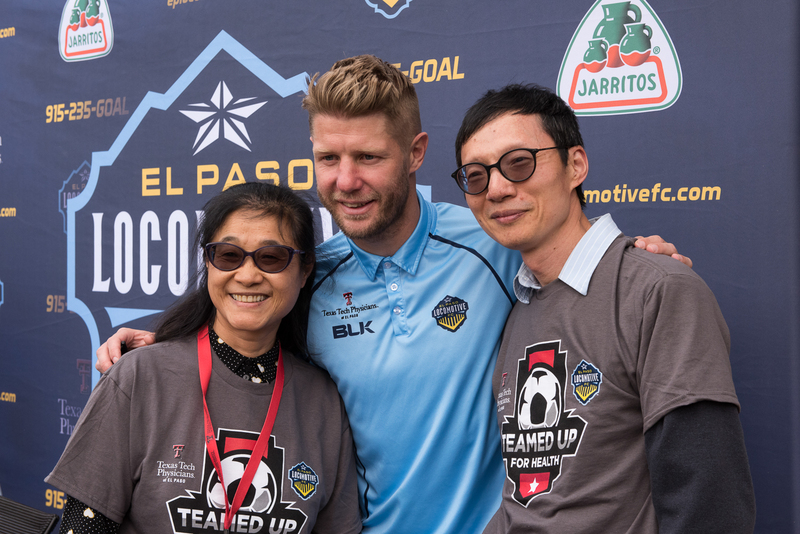 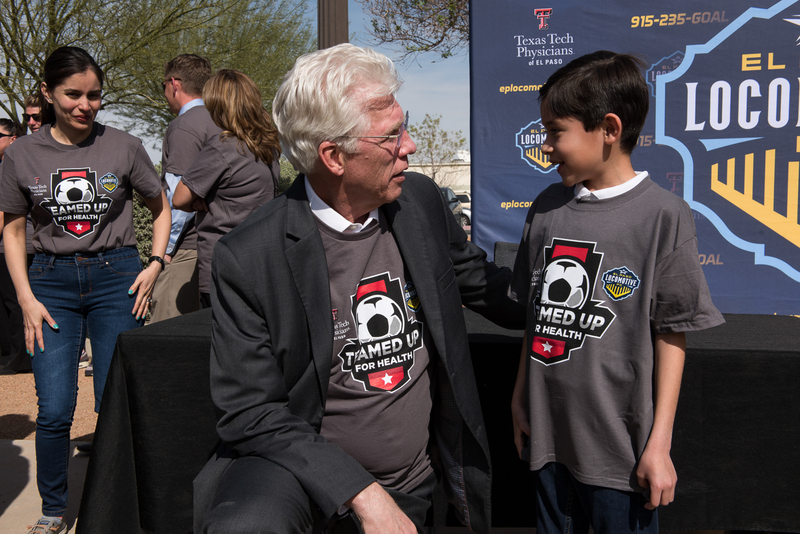 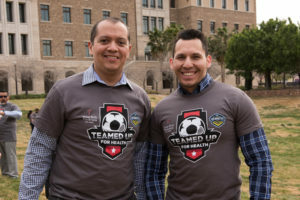 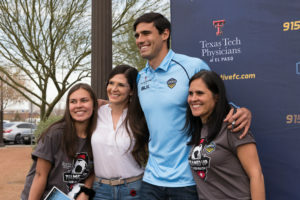 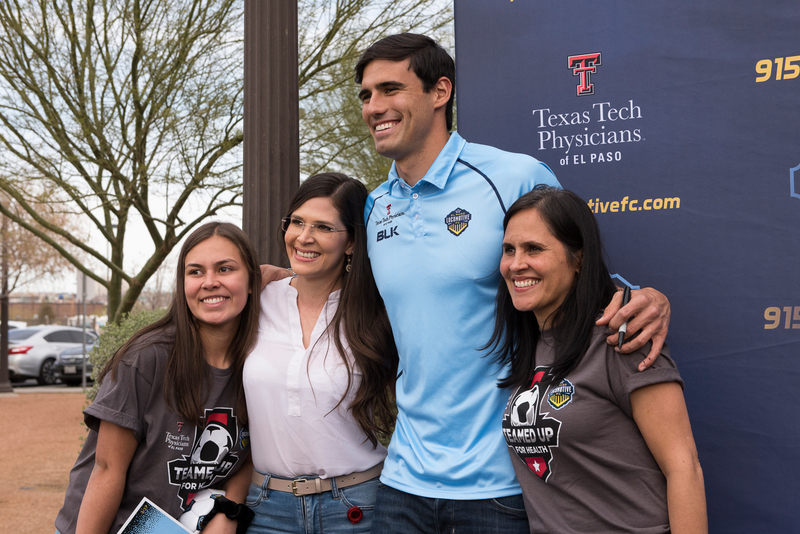 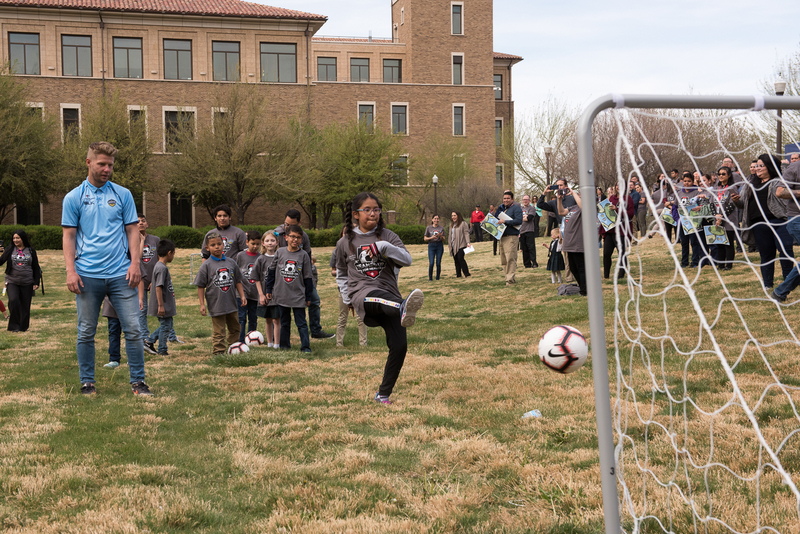 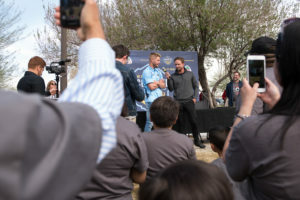 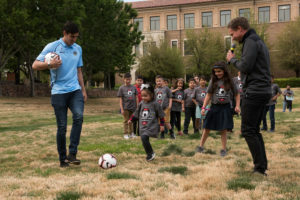 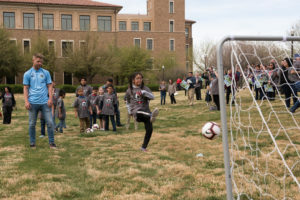 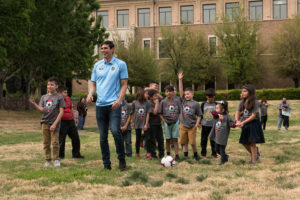 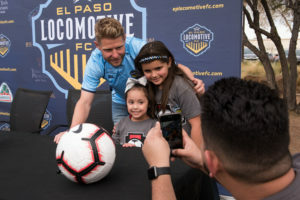 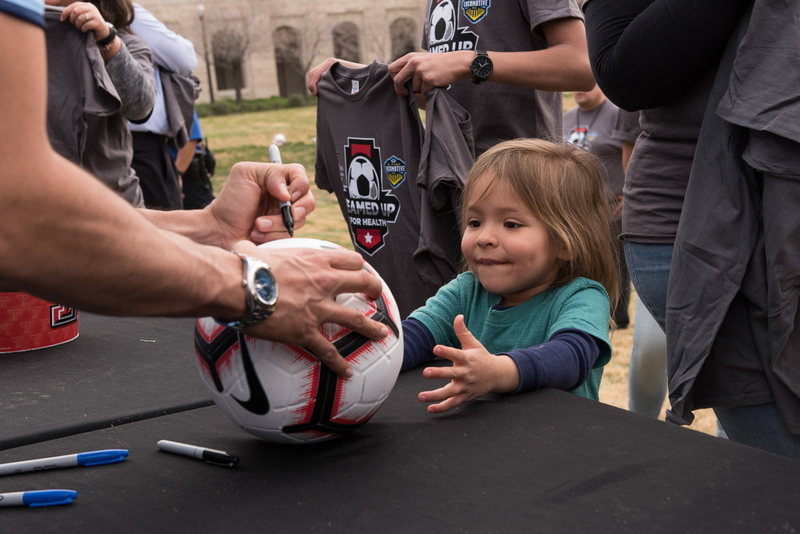 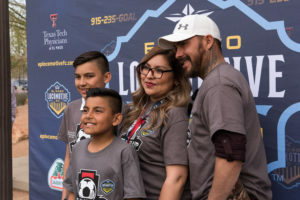 Texas Tech University Health Sciences Center El Paso employees and their family members got a chance to kick some soccer balls and meet members of the city’s new professional soccer team, El Paso Locomotive FC. 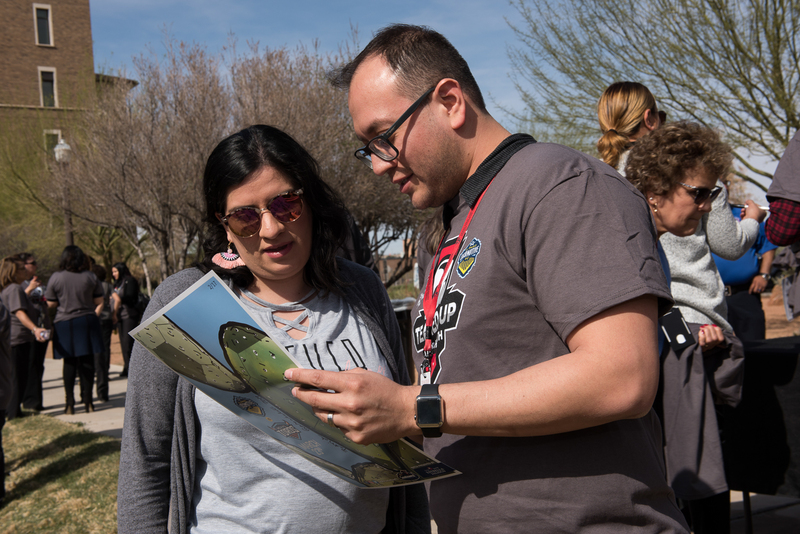 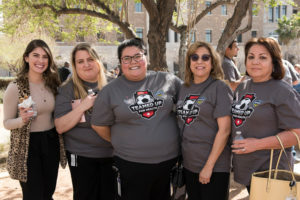 The Employee and Family Appreciation Event at the Intercambio lawn on Monday, April 1, served as an opportunity to celebrate Texas Tech Physicians of El Paso’s partnership with the team. 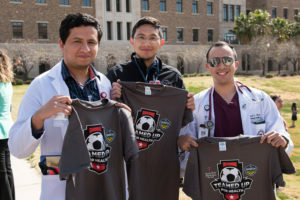 TTP El Paso, the medical practice of the university, recently became the exclusive health care provider for El Paso Locomotive. 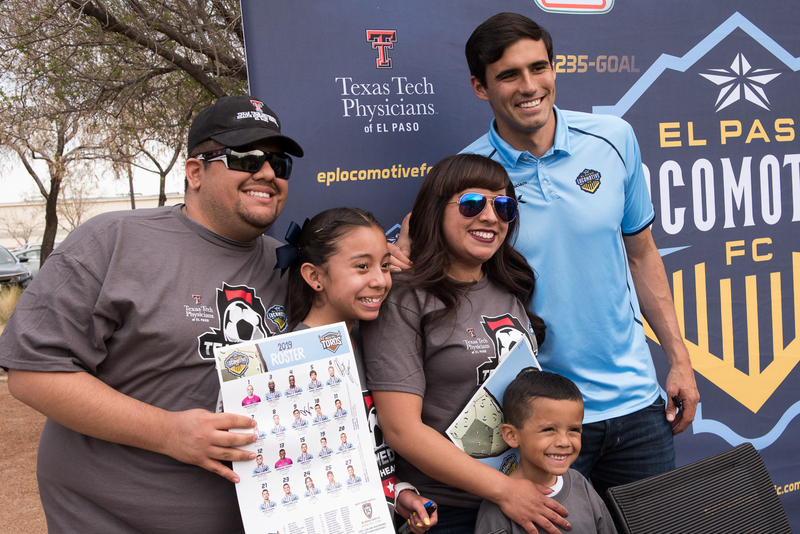 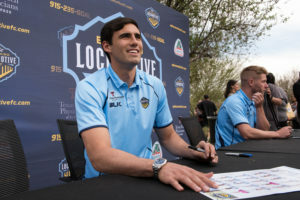 El Paso Locomotive forward Omar Salgado posed for photos with fans at the Employee and Family Appreciation Day April 1. TTUHSC El Paso President Richard Lange, M.D., M.B.A., and El Paso Locomotive Head Coach Mark Lowry offered remarks about the partnership, which will shine a spotlight on TTP El Paso’s sports medicine and orthopaedic surgery and rehabilitation expertise. Guests enjoyed chocolate chip cookies and participated in a “selfie challenge” for a chance to win El Paso Locomotive tickets.